So, I've once again gone overboard. I couldn't tell if you can upload multiple files, so the rar contains 2 smaller rar files. 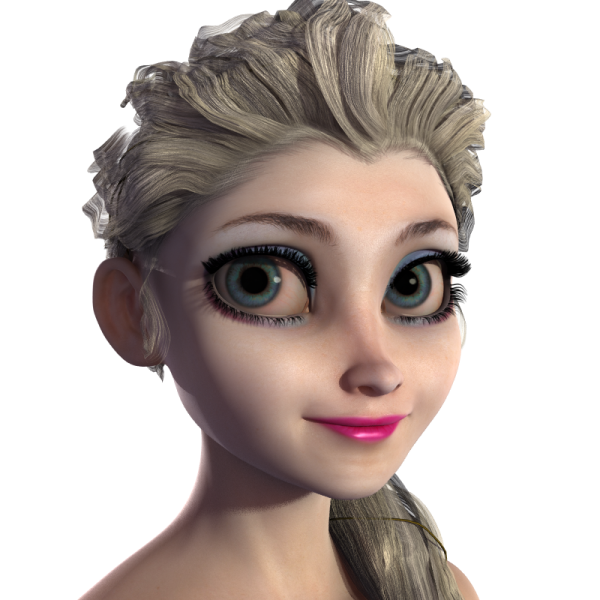 The one labelled "morph" is the morph files; it technically doesn't require anything, but needs the Girl 6 to look like Elsa and not a crumpled mess. The one labled "preset" is my shaping preset, which uses Giselle and the gen 2 shaping morphs as well. As always, please let me know if I packed the files wrong. I am still far from confident on the packing front. gocuzero (4 months ago) Inappropriate? select head and find elsa dial and dialing Elsa. the hair names is aprodite hair. slang98 (2 years ago) Inappropriate? That's so good. Thank u so much! wolsey (2 years ago) Inappropriate? op1344 (3 years ago) Inappropriate? CircleRW (4 years ago) Inappropriate? I put the files in my DAZ3D content folder but i cant find it, can someone help me please ? Sephirasun (4 years ago) Inappropriate? MCMXC (4 years ago) Inappropriate? Thank you! But which hair did you use? Karibou (4 years ago) Inappropriate? Darling!! Thank you for sharing!! fawnheart (4 years ago) Inappropriate? This is just fantastic, my 3 year old knew instantly who this was! belowstairs (4 years ago) Inappropriate? Great work! You didn't mention the name of the hair model you used in the preview, is it included? Again well done! dakkuuan (4 years ago) Inappropriate? Glados30 (4 years ago) Inappropriate? Leatherface (4 years ago) Inappropriate? The morph rar file is corrupted. 2OT (4 years ago) Inappropriate? The "morph" works fine for me. loading Girl 6 & dialing Elsa. But the "preset" does nothing, so I looked inside the Elsa.duf. IÂ´m happy with the "morph" - but curious what the preset will look like. Maybe you can repost the right preset? ooe3oo (4 years ago) Inappropriate? scavgraphics (4 years ago) Inappropriate?